Where can you get hiking, beach, fresh seafood, vivid history, and solitude all in one place? The sleepy seaside village of Kep is often overlooked by tourists coming to Cambodia. 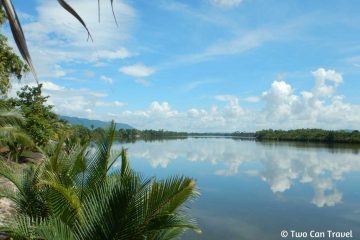 Many of the tourists who make it down to southeastern Cambodia spend their time in Kampot, a delightful town sitting right on a river. 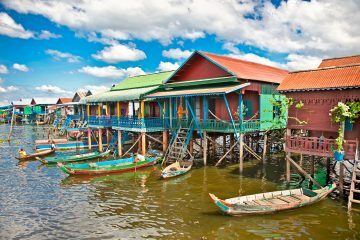 Kep, however is located just 26km down the road from Kampot, is usually just a day trip for bored tourists. Sure, in a single morning you can drive around the peninsula and eat the famous Kep Crab, but spending a night or two (or three!) 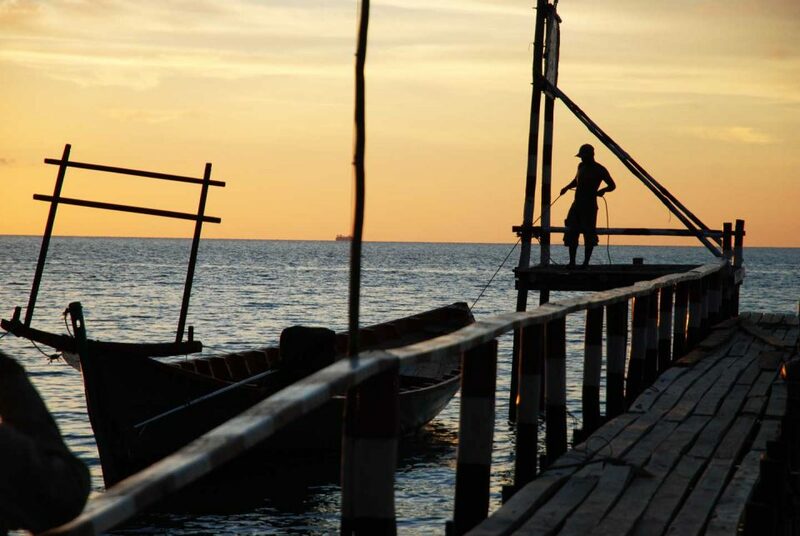 in Kep reveals a town with so much more to offer to the adventurous traveler. Kep has been beloved by Cambodians for generations and is still a popular vacation spot for people from Phnom Penh. Spend a couple days in this charming little town and you’ll start to see why. 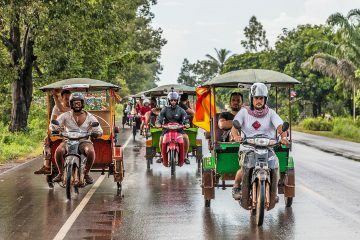 Whether you’re looking to get outside and do some hiking, eat a unique Cambodian meal that you can’t eat anywhere else, or just relax in the jungle overlooking the sea, Kep has all that and more to offer to the patient explorer. 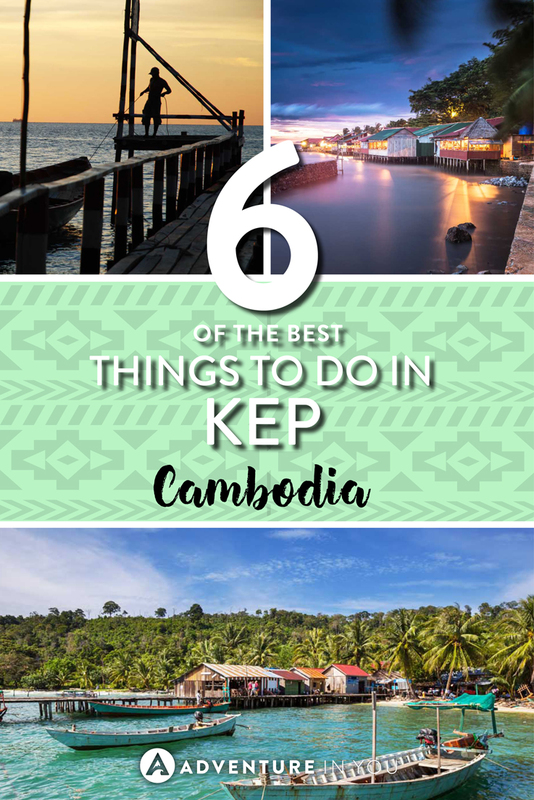 Without further ado, here is a complete guide to what to do and explore in Kep, Cambodia. 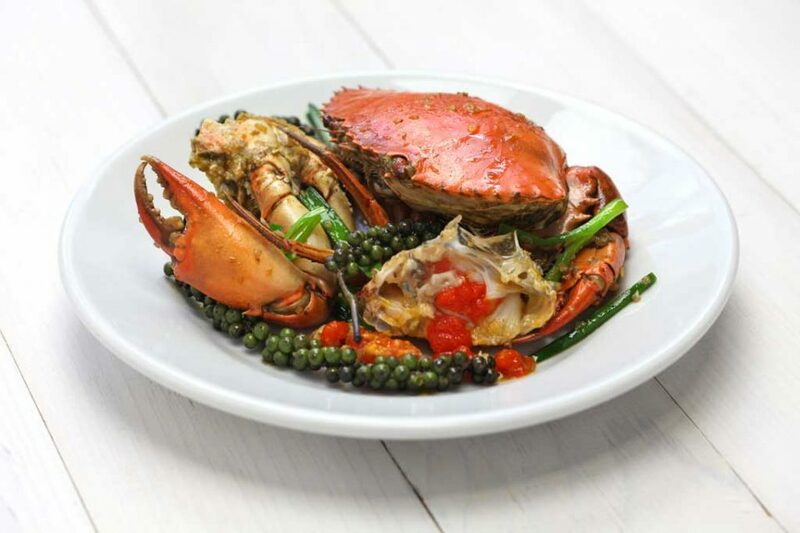 You simply cannot visit Kep without trying their traditional crab dishes. The blue crab of Kep is famous across all Cambodia. And they want you to know that, so they put up a massive statue of a blue crab right in their harbor. But all the drama aside, the crab from Kep might just be one of the most delicious meals in Cambodia. Head down to the Crab Market to buy some crab fresh out of the ocean. Walk to the back of the market and you’ll find women selling crab by the kilo. Just tell one of the women how many kilos you’d like, and she’ll have one of her boys literally pull the crabs directly out of the sea. They’ll steam the crab for you right there, or you can have it fried up in a spicy red sauce with fresh green Kampot peppercorns. Grab a nearby table, a plate of rice, and maybe some sugar cane juice and dig in. If eating crab straight out of the sea in an open market isn’t your style, there are several restaurants perched on the edge of the sea just next to the market. The nearby Magic Crab Restaurant is the most highly recommended of all of them. Have the crab prepared with peppercorn, steamed, or stewed into a herbaceous amok curry. If you’re looking for somewhere to relax after your crab feast, head around the peninsula to Kep Beach. Though most of the coast on the Kep Peninsula is rocky, there is a small strip of white sand beach. They had to import the sand from Kampot and Sihanoukville, but who doesn’t love a small strip of sandy beach? 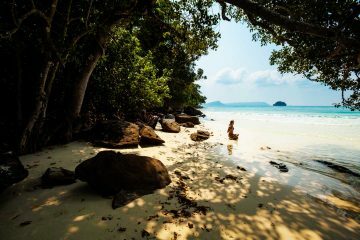 The beach is a nice place to relax and soak in the warm waters of the Bay of Thailand but the best part about Kep Beach is the people watching. It’s not other tourists that provide the material this time. Instead, it’s a great chance to see how Cambodian people like to do beach days. The sand remains mostly empty. Instead, the Khmer families gather on nearby bamboo pavilions to laze in hammocks and enjoy picnics. If you’re looking for some sundowners, head up to the Beach House to have a few cocktails around the pool or overlooking the beach. Kep is such a small town you might be surprised to realize it’s also one of the only places you can hike without hiring a guide in Cambodia. 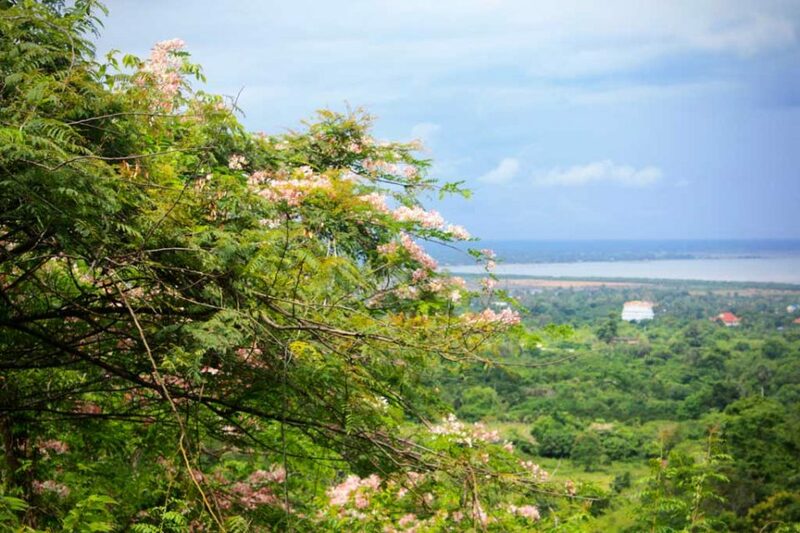 Kep National Park encompasses 53 square kilometers on the small mountain that rises out of the center of town. Since 2007, local authorities and the expat owner of the cafe Led Zep, have been creating and maintaining a network of trails that crisscross the park. One 8km road wraps around the mountain, making for a nice motorbike drive or mountain bike ride. 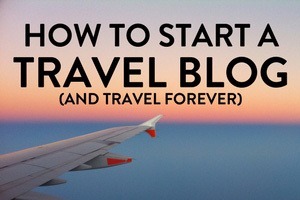 You’ll get some great views of Kep, Kampot, the ocean, and even Vietnam’s Phu Quoc island. To get further up the hill, hike up the narrow trails and explore all the way to the peak. 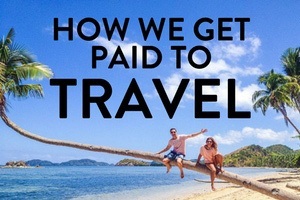 There are several different trail options to choose from, each with their own benefits. For great views, try the hike to sunset rock. 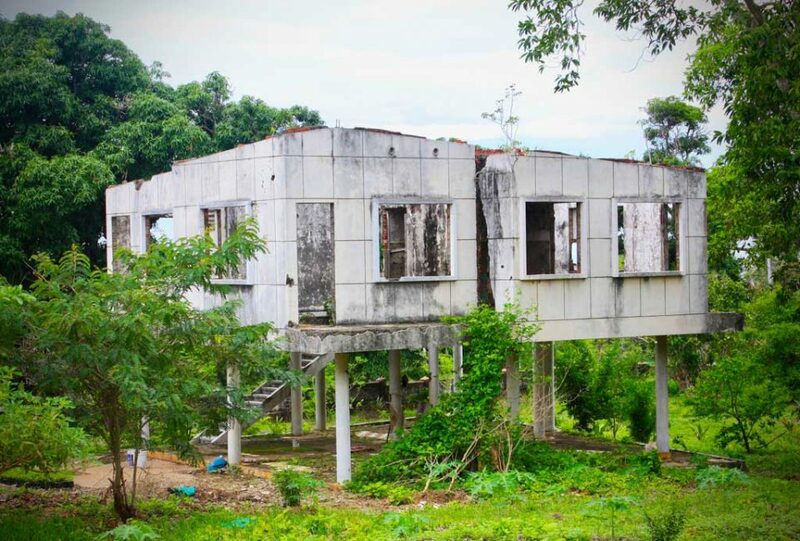 One truly little-known aspect of Kep is its collection of abandoned mansions from the 1960s. Before the 1970s and the decades of war that followed in Cambodia, Kep was a seaside resort town. Throughout the 1950s and 1960s, wealthy Khmer people built stunning art deco houses overlooking the sea. These homes were abandoned during the war and genocide of the 70s and were never returned to. Today, these skeletons of Cambodia’s past can be found hiding in among the trees and modern houses of Kep. Riding around on a moto looking for some of the most remarkable examples is a great way to pass an afternoon. 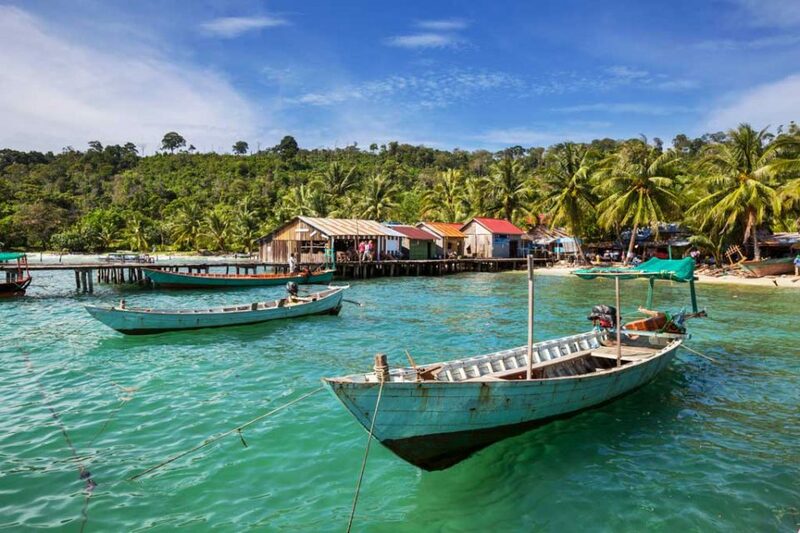 If you’ve grown bored of Kep’s hiking, eating, and exploring, perhaps it’s time to hop on a ferry to nearby Rabbit Island, called Koh Tonsay in Khmer. Rabbit Island is unlike most other tropical islands in Southeast Asia, in that it is still truly off the tourist path. Take the 30-minute ferry from Kep and you’ll find yourself sharing the boat with other Cambodians heading out for a day trip. Once on the island, find a small shack right on the beach to set down your bags and claim your bed. After the last boat of the day leaves, you’ll find yourself close to alone on a strip of tropical sand, with just a few other tourists and some local Cambodians. Rabbit Island is the perfect place to take a break from a long trip and just relax. You’ve got a beach, a hammock, a beer and some fresh food. What more could you want? 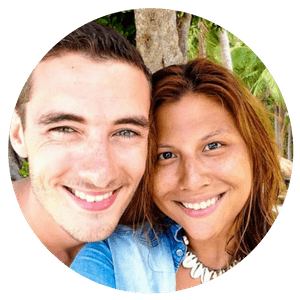 The true beauty of both Kep and Rabbit island is their isolation from the rest of the world. For some reason, spending a few days here feels like disconnecting: from life, from the tourist trail, from all your stresses. Hanging out in mountainside bungalows overlooking the sea with nothing but a book and a beer for company is quite possibly the best thing about Kep. When you’re tired from constant tours and just want to take a break somewhere that is stunning and serene, head over to Kep. 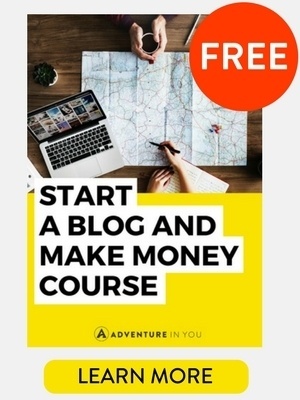 Trust me, you won’t regret it. I visited Kep in 2015 for a day and had delicious crab in one of the restaurants.